"Use for the Crown Jewels"
I have a plan by which the Russian crown jewels could be made to plow and seed down the black soil of the Russian steppes and feed the Russian peasants and also a great part of famine-stricken Europe. Let the Russian peasants pawn the jewels to some international banking syndicate for tractors and plows and pay the principal and interest on the amortization plan by payments extending over a period of years. These payments under the present conditions may be made with the wheat and other products that are produced with the machinery. The great amount of machinery needed for Russia will enable the employment of thousands of workers in America and Europe. While the jewels are in the possession of the syndicate, exhibitions might be given in the large cities of the world and admissions charged. In this manner great sums of money might be made which could be placed in an international fund to aid the peoples in other countries. Such an arrangement would be much better than if the jewels were allowed to lie in iron boxes in the Kremlin, as they are today . They cannot now bring a broken cent nor any good to humanity. 1. 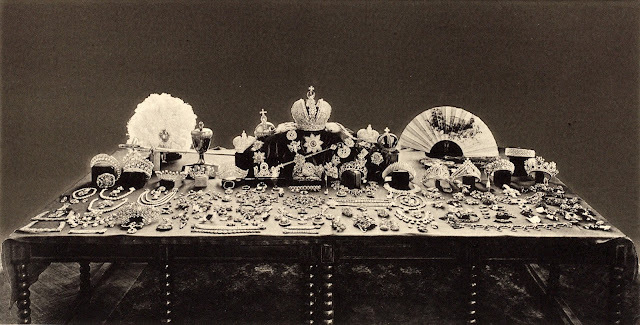 The jewels that had been worn by the Russian imperial family met various fates after the revolution. 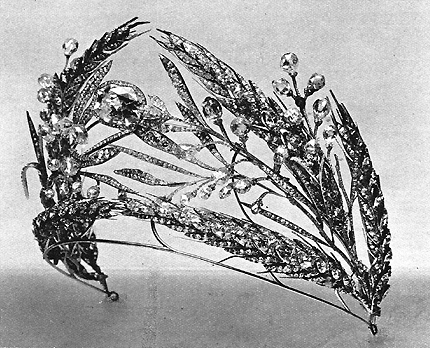 Some of them, like the Vladimir Tiara, were smuggled out of Russia during the 1917 revolution. Many were sold at auction, including a major sale in London in 1927. Others were retained in the Diamond Fund; many of these pieces are on permanent exhibit today in the Kremlin Armoury building. 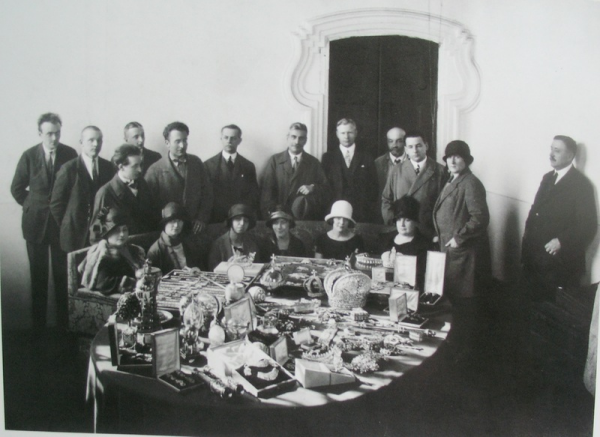 Readers of the New York Times in the late summer of 1922 had a renewed interest in the jewels after the publication of Walter Duranty's account of his visit to view the pieces in person; you can read an annotated version of his article here.